Ya, We're Basic Is Back | ya, we're basic. We’re back with a brand new episode as we ease into a new year of Ya, We’re Basic. 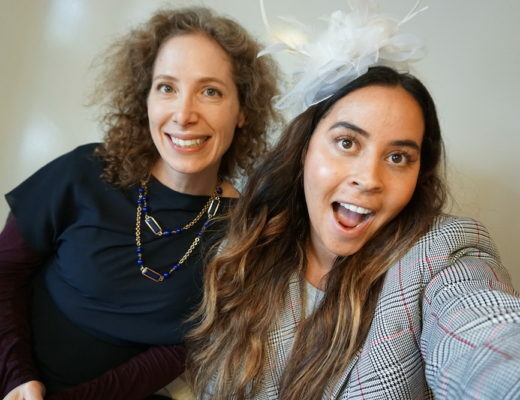 I have a couple fun interviews and we get right into the nitty gritty of Jordyn Woods, The Bachelor and the most recent celebrity engagements. Starting with the hilarious ladies of Somebody Date Us, a new podcast hosted by Lauren, Carley and Asal – three singles girls in Toronto who are just trying to find someone bearable enough to date (follow them here). The ladies share candid dating stories, we dish on Valentine’s Day and whether it’s better to meet on dating apps or IRL. Then we finish off with a brief (and delayed I’m so sorry!) interview with Arielle Charnas of Something Navy. This interview was done a while ago but I had technical difficulties and didn’t want you to miss out. She chats about her new clothing line, her thoughts on Colton as The Bachelor and I show her her actual first collection from way back in the day. Have a listen, SUBSCRIBE and be sure to Rate the Podcast FIVE STARS and leave a review if you want to show off your dazzling typing skills. And don’t forget we should be GFF’s | here’s where to find me @lexniko on Instagram and Twitter.